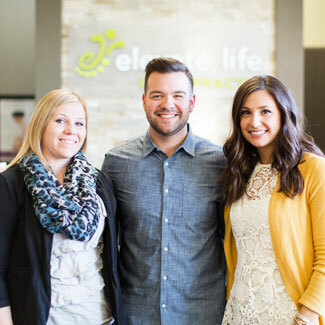 Welcome to Elevate Life Chiropractic! Our warm and inviting environment is the ideal place to begin your journey to healing and optimal health. 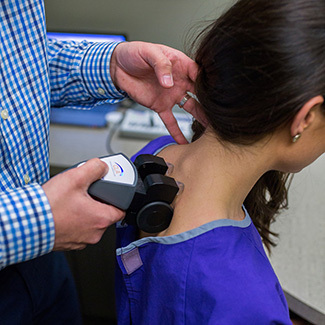 We pride ourselves on being on time and providing high-quality, efficient care. And because we’re family-friendly, we feature an area for children that has stuffed animals they can adjust, LEGO® building bricks and books. You can expect a smiling face at the front desk when you come in. We hope you will become a part of our tribe or practice community. Our team will answer any and all questions. 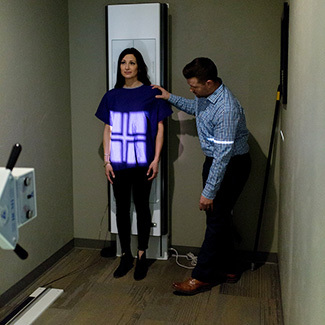 You will also be given a brief tour of our office, including the “discovery realm” as that’s where patients will start discovering their health. 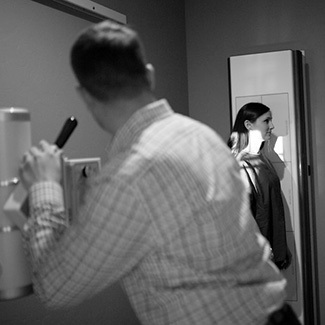 You’ll then meet with Dr. Wade who will perform an examination including three neuro-functional scans. We only take X-rays if necessary. Children, however, aren’t X-rayed. Please allow about 45 minutes for the initial appointment. When you return, Dr. Wade will go over his report of findings. During this appointment, he’ll go into detail about the three neuro-functional scans and X-rays, if you had them taken. 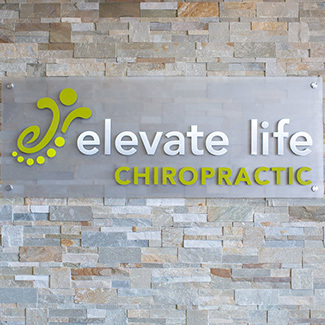 Next, he will provide you with information about how chiropractic can best serve you and your family. Lastly, you will be given your first chiropractic adjustment. 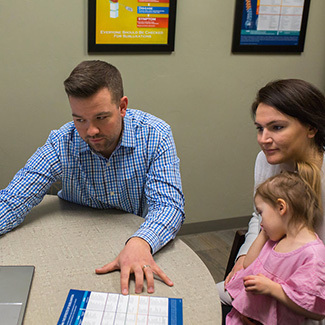 The reason we don’t adjust on the first visit is the gap in between appointments allows Dr. Wade to review all of the assessments, health history and X-ray results to create a customized care plan for you and your family. These appointments are brief at about 15 minutes. When you come in you will check in at the front desk and then we have something called a feeder room. It’s similar to a theater realm. You can place your belongings in there and flick on a light when you’re ready. 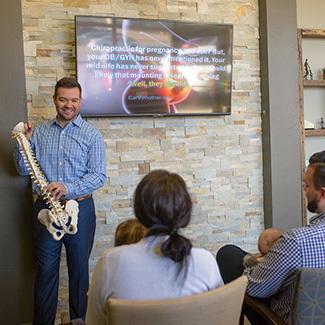 Through regular table talks with his patients, Dr. Wade shares the benefits of chiropractic care and specifically, how it benefits them to be adjusted in a specific area. We also hold workshops and educate patients and the public through social media, particularly Facebook and Instagram. How long you want to be under care is up to you. 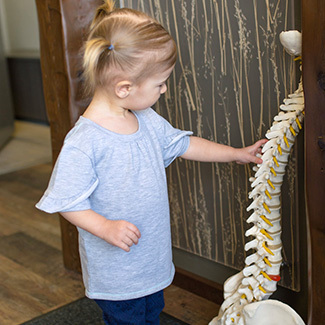 It’s our hope that you consider chiropractic care an essential part of your health and wellness regimen just as you do healthy eating and exercise. Regular adjustments can help you maintain your well-being. Contact us today to book an appointment at our Stevens Point practice. 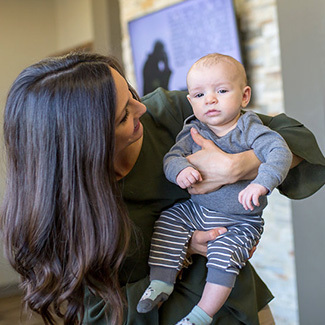 Ask about our family care plans!